This week I'm going to give you some lessons I learned from Speaking at We Are Podcast 2018 in Brisbane Australia. We also talk about the effectiveness of Audiograms. I know a few people who love to travel. Monica Rivera from the You Wanna Do What? podcast gave me a great tip to download any episodes from Netflix to my iPad. George Hrab from the Geologic podcast (who gets to go to all sorts of cool stuff because of his podcast) gave me some heads up on a voltage converter. When I heard the phrase “17 hours on a plane (along with some shorter flights for a total of 20 hours)” I thought it sounded like a horror story. I pictured some little punk behind me kicking my kidneys while their parents order another jack and coke from the flight attendant. In the end, even in coach, I was able to stretch my legs. I had two seats between my fellow passenger in my row and slept off and on. There were probably 3-5 small children who would occasionally cry, but it was not the nightmare I had envisioned. When I think of things that I have dreaded in the past, they are rarely as bad as you think you're going to be. I can be shy. When I go to a restaurant I'm not looking to think outside the box. When I was told that a large chunk of my schedule was planned for me, I got nervous. I didn't know where I was going, and except for a few people, I didn't know who I was with, what we were doing, and what I needed to be ready. We had assigned seats both days including assignments on who to go to lunch with. One day, Sean Desouza was going to cook authentic Indian food (I have never had Indian food). I talk about this all the time. When you create valuable content on a consistent basis, your audience trusts you and likes you. If you can share a bit of yourself, they get to know you. When people know, like, and trust you then you have influence. I know Ronsley Vaz from his “Should I Start a Podcast” show. We may have bumped into each other. I finally got to talk to him at Social Media Marketing World where I was speaking. He asked me if I would speak at We Are Podcast. I said yes on the spot. Who doesn't want to go to Australia? I saved up my pennies (and busted out a charge card) and made it happen. As I mentioned above, I was nervous. This was a new country, a new conference (for me), with new people. The first day was very good. I got to meet a lot of people. It was somewhat of the “warm-up act” for the main event happening the next two days. Every speaker at this event was awesome. Every person I met was super friendly and shared my love of podcasting. The hotel I stayed at was great. By the end of day one, you could color me impressed, and I was ready for day two. By the end of day two, I believe I had met about 95% of the people there including Jules from Hong Kong Confidential. By the end of day two, where I once felt uncomfortable I now felt relaxed. When I realized that I was going to be living with a bunch of people I had never met, previously this would have put me way outside my comfort zone. By this point, Ronsley had not let me down and I just went with the flow. Here again, it was not as bad as it seemed and was actually kind of fun (in the end we just slept here, and all the speakers hung out at a second house). I would start the day with some sort of healthy pancakes made from buckwheat and for toppings I had some sort of berries instead of maple syrup. Different? Yes. Delicious? Absolutely. The conversations were awesome, and the jokes and laughing were endless. The following day I had Indian food for the first time. As I was told I was a “Picky Eater” growing up, I assumed I would not like this. I loved it. Sean is launching a course in the future to show people how to cook these types of meals quickly. I'm in. I was scheduled for a session of Holographic Kinetics. I had no idea what it was, but I had heard that “it was a bit woo-woo.” All I knew was Ronsley had selected a few people to do it, and I was one of them. I was not here to judge. I was all in. Holographic Kinetics is an advanced Aboriginal healing technique based on an ancient understanding of Lore, the universal laws that govern the creation, and the knowledge that everything in nature is alive and can be communicated with. Thoughts and emotions from difficult experiences in the past can become trapped in a person’s body to create realities. This was the first time I had ever tried it, and it did help me connect some dots from my past. If I'm a better, more confident person, I don't care how I got there. For me, this was an experience that was truly hard to put into words. I rarely checked email while I was there, got almost no sleep, and just enjoyed the beauty of Australia, and the friendship of some truly great people. Steph Taylor creates the podcast Socialite. She is always smiling and with her accent its a bit like learning about Instagram from Mary Poppins. I LOVED her presentation on having a plan for your podcast launch. Sean D'Souza – Sean is not a know it all, but yet, he seems to know everything (he is the man behind Psychotactics). His presentation on developing skills was very cool ( Energy + Confidence = Skill) and has me rethinking how I present things at the School of Podcasting. He has a podcast called Three Month Vacation. I can't wait to learn how to cook from this guy. Byron Dempsey is another hero. I had plugged my iPad into to keep it as charged as possible and then forget to put it back in my book bag. Bryon was nice enough to ship it back to the States for me. Byron is a super talented videographer and helps people grow their brands with video. Laura Peterson is someone I kind of knew as I listen to her Copy that Pops podcast. She was the trooper who had to deal with a presentation clicker that did not want to participate. She is super funny and if you are in front of her, please have her do her “California Girl” imitation. If you are thinking of writing a book, she's your gal. Ange Henderson is a business consultant that is super friendly, outgoing, and was always there when we needed a food run. THANKS ANGE! She's worked with huge companies like Netflix and I could go on, but just know she's done it all. Travis Chappell dropped knowledge bombs during his presentation on how to follow up without being a pest. He's one of those guys that doesn't say much, but when he does it is hilarious. Carl Taylor seemed like a nice guy and was in a pretty good mood considering he had just had his wisdom teeth pulled. This mild-mannered guy had sold three businesses and wrote a #1 business book by the age of 25. 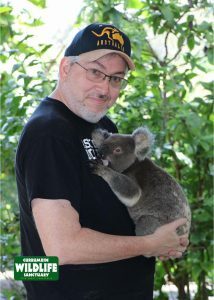 Every time I hear the phrase Koala Bear, I will think of Carl who let me know Koala's are not bears. They are marsupials. Allison Melody is someone I had met at other conferences, but just getting to chill with people builds that relationship deeper. Her presentation on monetizing you podcast had some new strategies I had not heard of. Check out her Food Heals Podcast. Shannon Morrison is the head of operations at Amplify Media and the founder of Mighty Social World. A super nice guy, and always willing to help with anything and everything. Jason Malouin is nuts. He has a great laugh and was the co-MC of the event. Jason was a great American to Aussie translator and stopped me from getting a sunburn that would've been on a whole new level. If you're in Australia and need a portrait photographer, he's your dude. Check out his Communicator podcast. Harry Duran and Natalie Jenkins are my partners in crime at many conferences. They both make me laugh, and occasionally snort. I love them both very much. You know Harry from Podcast Junkies, and Natalie is often taking head shots at events you attend. If she can make me look good, she can make you look amazing. When I found out I was going into the Hall of Fame, Natalie was one of the first people I called to see if she would photograph it. Pat Flynn – I've had Pat on my show. I bump into him all the time at events, but never really got a chance to hang. Pat Flynn (much like Harry and Natalie) makes me laugh a lot. I'm here to tell you the guy is hilarious. He is super chill, and he turned the groups on to some great games such as Psyche! and SpaceTeam. Both games are a lot of fun. He has Smart Passive Income, his book Will it Fly is a MUST READ, his Smart Podcast Player, and he is now teaching people how to podcast with his Power Up Podcasting. Shayde Furlong was the “Audio Engineer” for the whole week, and was cool enough to BRING A GUITAR! I enjoyed all out talks, super nice guy. Rochelle Fernandes is always happy. How do you do that? Anytime we needed something, there she was. Amazing. Katherine Maslen of Brisbane Natural Health – Thanks for sharing your team. Your passion for helping people lead healthy lives is amazing. You're a great Mum. 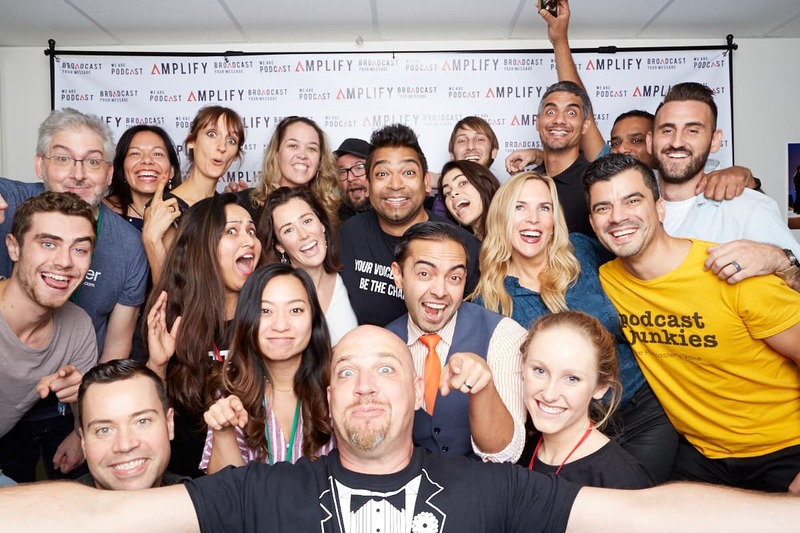 The Entire Amplify team was a well-oiled machine, but for me, there is one more and I will call her “The Amazing Janice” (as I don't know her name). I just know if you needed something, Janice would get it. When it came to keeping things running on time, it was Janice in the hallway every so politely reminding everyone to get back to their seats. It was Janice who made sure I connected with Jade to get my audio set. She then explained how the presentation would work, where I could stand, and answered every question becfore I could think it. 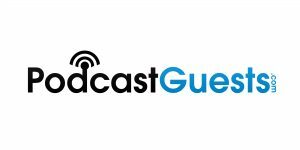 Are you lost in a sea of noise when it comes to podcasting? Are you watching old YouTube Videos that may be outdated? Do you ask a question and get 14 responses (but no answers ) when you post on Facebook? I can help eliminate the noise, and listen to what you want, and help you get what you need. If you are looking for a one on one podcast mentoring program, I can do that for you. What a great post my friend and a great reminder of just how lucky I am to be a podcaster and have this awesome medium which allows me to meet and be friends with people like YOU! Great episode Dave! A wealth of information in one fantastic episode. I was going to say awesome, but as you mentioned it’s an over used word. Another word that is over used is the word “super.” Super cool, super hard, super easy, super fun… You get the idea, my opinion the word “super” can become a crutch word similar to “uhm” or “ah.” It’s a good reminder to podcasters that we need to be aware of over using particular words or phrases. Keep up the good work and have an aweso… I mean wonderful day. Lee, that is a super awesome comment.